Aqauflo test the brass to ensure all of their taps have a minimum copper content of at least 60%. This ensures the longevity of your bathroom taps. The higher the brass content the better the rust resistance, meaning your tap will not rust. In the unlikely event that you do have an issue with your Aquaflo bathroom taps then don't worry. Unlike other manufacturers all Parts (Static and Moving) are covered by your comprehensive guarantee. These are all stocked by www.firstbathrooms.co.uk so can be dispatched the same day. Aquaflo taps feature the latest ceramic disc technology meaning you only need to turn the head of your tap by a quarter to get the full flow. Other taps feature rubber washers that after time start to perish and become faulty which leads to the tap dripping. Aquaflo are so confident in the quality of their bathroom taps that they back them up with a 10 year guarantee. To have the confidence to do this they test every single one of their taps after manufacturing. 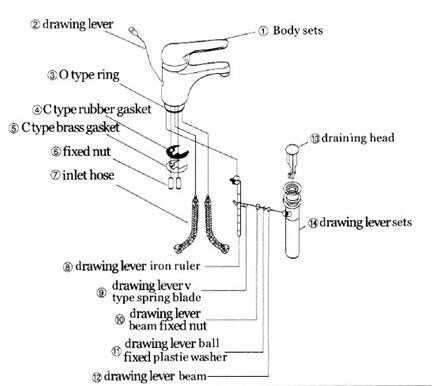 The rigourous testing includes drip, flow rate and also rust testing. A machine tunrs the taps on and off up to 100,00 times proving they stand the test of time and ensuring you will not be disappointed with your purchase. Before Aquaflo taps are chromed they are hand polished to create a smooth surface which maks it easier for the chrome to bond onto the tap. All Aquaflo taps are chrome plated with 40 microns of chrome ensuring a highly reflective mirror finish. All Aquaflo taps come complete with comprehensive fitting instructions and all of the parts you require to install this product from scratch. This means that whether it is a fully qualified plumber or just a DIY enthusiast installing the taps it can be done quickly and with ease. Question: I need my bathroom taps as soon as possible. How quick can you deliver it to me? Answer: All Aquaflo taps are kept in stock at our main warehouse. At checkout you can either select the standard delivery option which means your bathroom taps will be delivered within 5 working days, or you can pay a small premium for express delivery and if you order before 2pm you can expect to receive them the next working day. Answer: Dont worry if there is no one at the premises to accept delivery the carrier company will leave a card with a contact telephone number for you to contact to re-arrange delivery on a day that is more suitable for you. Question: Why are your prices considerably less than other online bathroom compaines? Answer: The reason for this is because volume purchase grants us bigger discounts that we pass on to our customers. We constantly monitor the internet to maintain that we offer the lowest prices for bathroom taps. Question: What if i dont like the taps? Answer: If you decide you do not wish to keep your purchase you can return it in its original undamaged packaging with 7 days. Once the taps were checked back into stock as reasonable then your account would be credited. 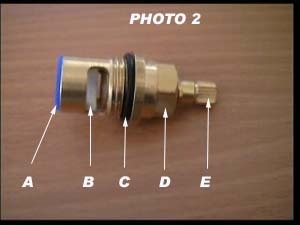 Question: What is the minimum water pressure I need to get a good flow rate from my bathroom taps? Answer: This depends on the tap range you choose, but is typically a minimum of 0.1 bar (1 metre head) for a screw-down (rubber washer) tap valve and 0.3 bar (3 metre head) for ceramic disc valves. Question: What should I use to clean my bathroom taps? Answer: All brassware should be cleaned with warm soapy water and buffed up to shine with a soft dry cloth. Avoid using any abrasive or acidic cleaners as this may damage the product. Regular cleaning after use will keep your taps looking good.